You guys. How long have we waited for new music from Flo? It's been four years since we were blessed with Ceremonials in 2011, and her contribution to The Great Gatsby soundtrack, "Over The Love" came out in 2013. I've missed her so, haven't you? 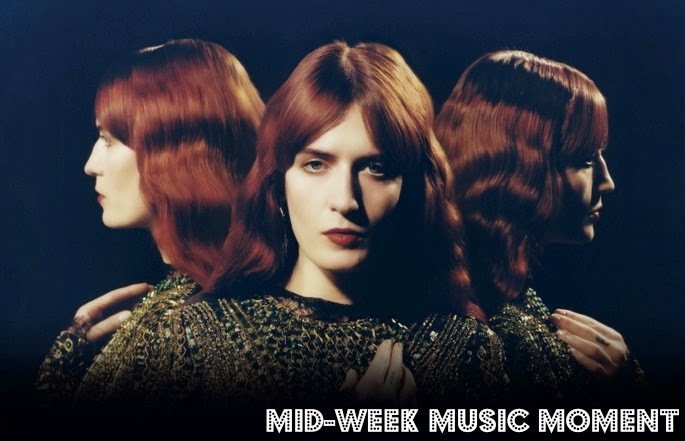 When Florence + The Machine started appearing on festival lineups earlier this year, I started to get my hopes up. Now with the release of "What Kind of Man," dare I dream that a whole new album might be coming this year? This summer, even? Anyway, since all we can do is speculate, we might as well enjoy what we have now. "What Kind Of Man" is a thumping, broken hearts anthem that sounds like classic Flo with a bit more attitude. I like it. It doesn't give me all the feels of the big songs from Lungs or Ceremonials, but it definitely has that element of earth-shaking goodness that makes her music so powerful. I heard on the radio she has an album dropping in April! I hope it's true!! This is very effective put up right now. Considering that we've found a considerable amount of secrets designed by put up. Regards of this fantastic put up show. Decidedly dull and somewhat dull truly. She is genuinely fighting for great melodies with this record it'd appear.